As a marketer, you cannot neglect the power of content. Sharing valuable information with your audience helps you build trust with your audience and develop a strong and influential brand. We know that 61% of US online consumers are making purchases based on recommendations they read on blogs. Therefore, why wouldn’t you do the same thing? Why not set up a blog for your own company or the company you represent? I am not going into the technical details of setting up a company blog or how to make it web-ready for today’s environment, nor will I discuss the content you are going to publish. This article will, however, shed some light upon the visual aspect of this entire endeavor. Why are visuals important to our marketing strategy? Articles with images get 94% more views than plain text articles and marketers are aware of this fact, considering that 65% of them believe visual content to be at the core of their strategy. 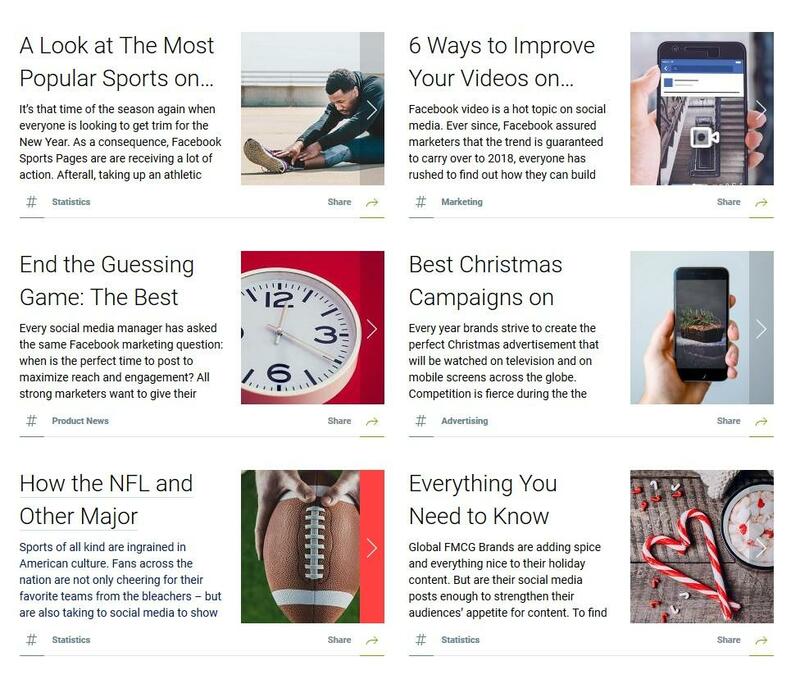 At the same time, the number of people who remember articles that feature relevant images increases by the same amount of 65%. What are the five most important visual elements you need on a company blog? Branding is one of the main focuses of your marketing process, at least at the beginning, and it’s the first step in setting up your business’ blog as well. There are several elements that are important here from a visual point of view. However, we’ll discuss them later. First, let’s talk about the importance of branding. 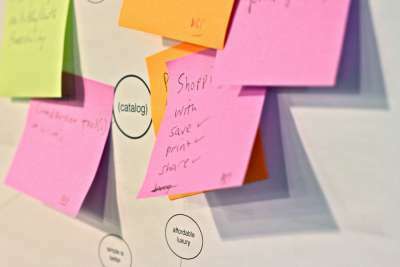 The American Marketing Association defines the brand as “a name, term, design, symbol, or any other feature that identifies one seller’s good or service as distinct from those of other sellers.” “If used for the firm as a whole, the preferred term is trade name,” the same definition concludes. It represents your identity as a company. It presents you to the audience and makes you recognizable. The logo is your ID card, the visual reference point your customers are identifying your company with. 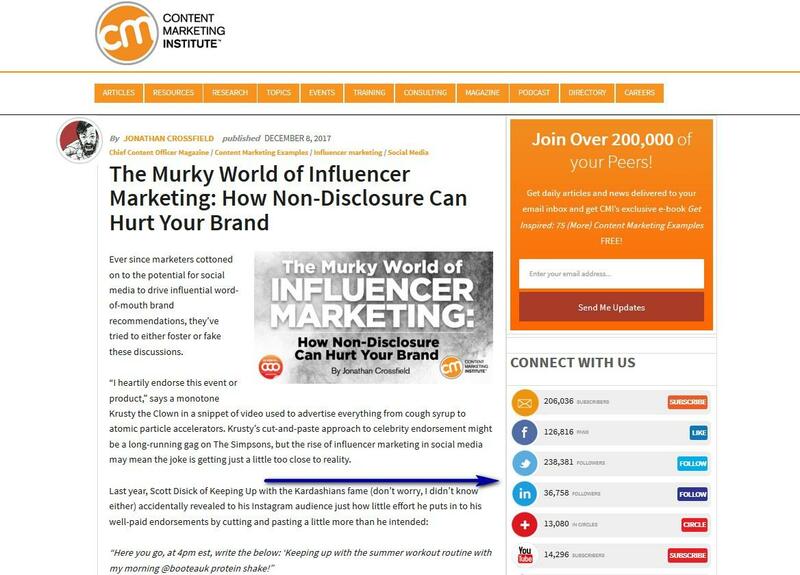 You can use your company’s logo on your blog in order to help your audience identify who is the source of the data published here but you can also use some hints that this is a blog and not the official business page. Mention Blog uses a graphical element from their logo and a simple hint to let their audience know that they have landed on their blog and not their main page. The graphical element represents their brand identity. It’s not a random choice that simply looks good in the header section of the blog. Another great idea is to place the name of the company in the header section, once again followed by the hint that this is, in fact, the blog and not the main page. Bannersnack gives us a great example in this case. See the following screenshot to get an idea. Take advantage of your brand name and try to extrapolate from it. You will need inspiration and creativity but in the end, you will get to separate your blog from your main website and keep them linked at the same time. How can this be possible? Well, let’s take a look at two of the greatest examples of branding creativity for blogs: Crazy Egg and Intercom. 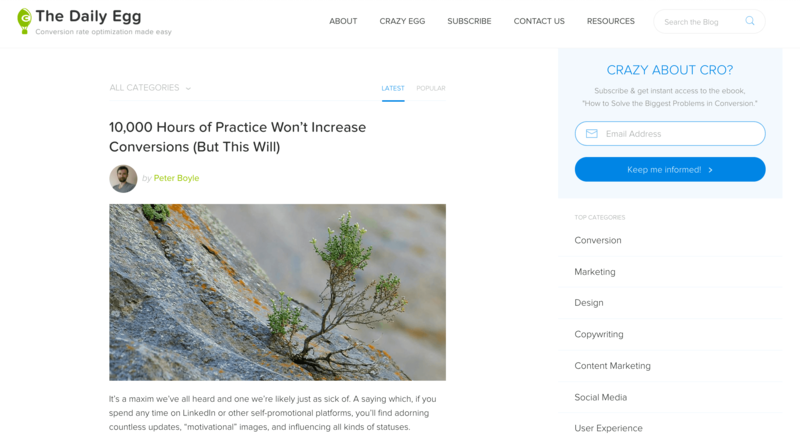 First, we have Crazy Egg’s blog which is named “The Daily Egg.” This is a great example of creativity and also, an example of how to be inspired in coming up with a new name that is also connected to the official brand. Secondly, we have Intercom’s blog that is named “Inside Intercom.” The name suggests that this is, in fact a blog and not the official brand website but at the same time, it gives it a standalone identity and its own name (brand). These two popular blogs together serve as examples of how to make your company blog stand out from your website, as a separate entity, with a new identity and its own sub-brand. It maybe also more appealing to your audience, if you give it a more personal and informal name and style. Color is very important in our daily lives. Everything we see is in color and different nuances can trigger different emotions and feelings. You can use colors to set the tone of your blogs and ultimately your brand. They will also help you draw attention, separate easier different sections of your blog and highlight important messages or categories. 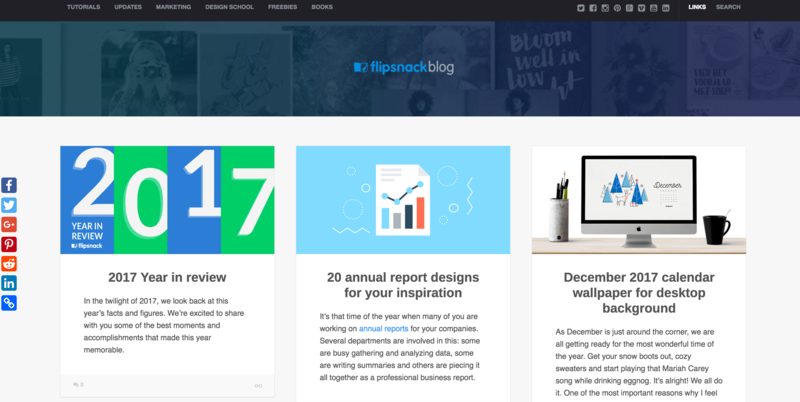 Here’s a great example of a color branded blog. 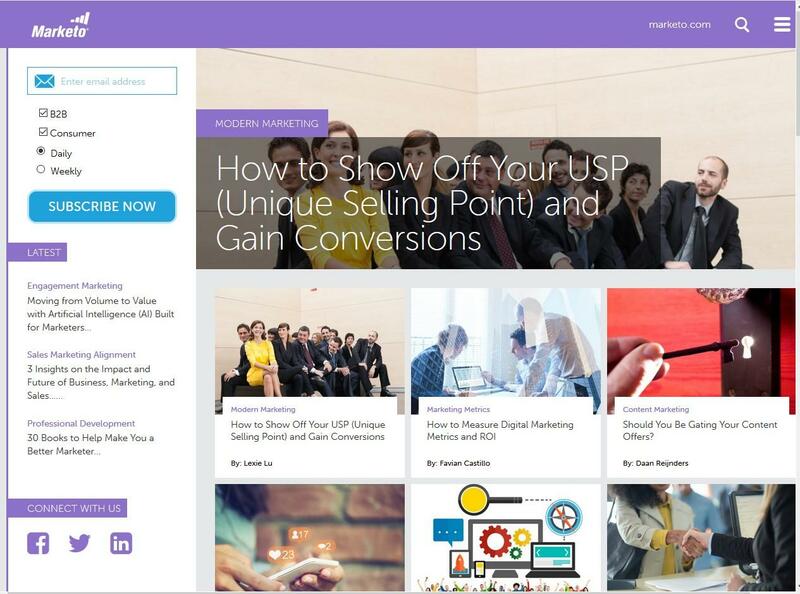 It comes from Marketo’s blog. Starting with the header section and up to all the different sections of the blog, everything is branded with a shade of mauve. For a brand who wants to stand out from the crowd, consistency is very important, even when it comes to blogging. We’ve dealt with some of the major branding elements that add to the visual style of your blog and now it’s time to also consider typography. What is typography and why is it important for the visual style of the blog and the consistency of its overall look? The term refers mainly to how the texts are arranged within the pages of your blog. You can be creative and innovative at this point but the most important thing to consider is the readability of each post and the way it appears to the audience, before even being read. What do you need to consider here? Fonts: They are important because they can add to the readability of the text or contrary, they can make it barely visible. Most of the main fonts used on web pages and blogs typography are already readable typefaces, especially if you are going to use a popular platform, such as WordPress. Consider however the size of the fonts used. Fonts that are too small will make your text harder to read. White spaces: Consider breaking large chunks of text into smaller paragraphs. Also, it’s important to give your posts a clean and catchy look. This will be possible through the use of headings and subheadings wherever it feels necessary. Bullet lists: They will help you arrange important messages in an orderly and more attractive fashion. Also, they are easier to read and catchy to the eye of the reader. Here’s a great example of a good looking post from Copyblogger. 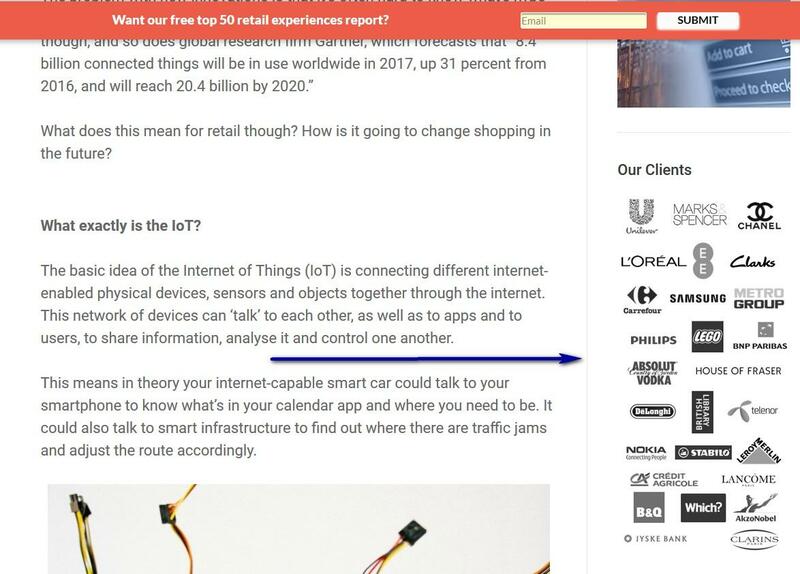 We can clearly see on the following screenshot how small paragraphs, visible sub-headers and bullet point lists add to the readability of the text. One of the most important parts of setting up a blog with focused branding is to decide what kinds of images you are going to use. There’s not a question of “if” here, as images will make an important part of each one of your posts. Humans are visual creatures; they consume visual information more than written data. Therefore, it’s important to consider this aspect of your content marketing strategy. Depending on how long your articles are, you can also use more than one image to present your data or in order to break down chunks of texts or different sections of the articles. 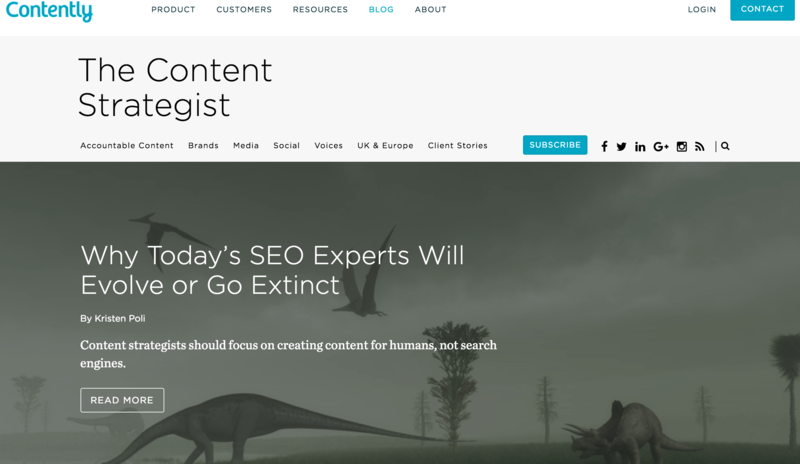 First, there’s the Social Bakers’ Blog which serves as an example of how to use stock photos as features in your blog posts. However, you can also make your own graphic representations and use them to backup your written data. A great example, in this case, comes from Flipsnack. They feature custom images in their blog posts. HelpScout gives us yet another great example of how creativity and inspiration can help us create featured visual representations for our blog and give it a clear, professional and attractive look at the same time. The author bio and photo are very important, considering you want to build trust with your customers and also grow awareness of your brand. People build trust quicker with people they know, even when they know them only from a short résumé and a profile photo. When they know the name of the author, they know that someone invested time and professional skills into the article and that someone is a real person. Also, if you are a well known and respected professional in your industry or, you are hiring authors that are well known among your peers and audience, it will serve you well to let the readers know who is the person who wrote the articles and why should they trust his or her professional opinions. There are several options for displaying the author bio on a blog. 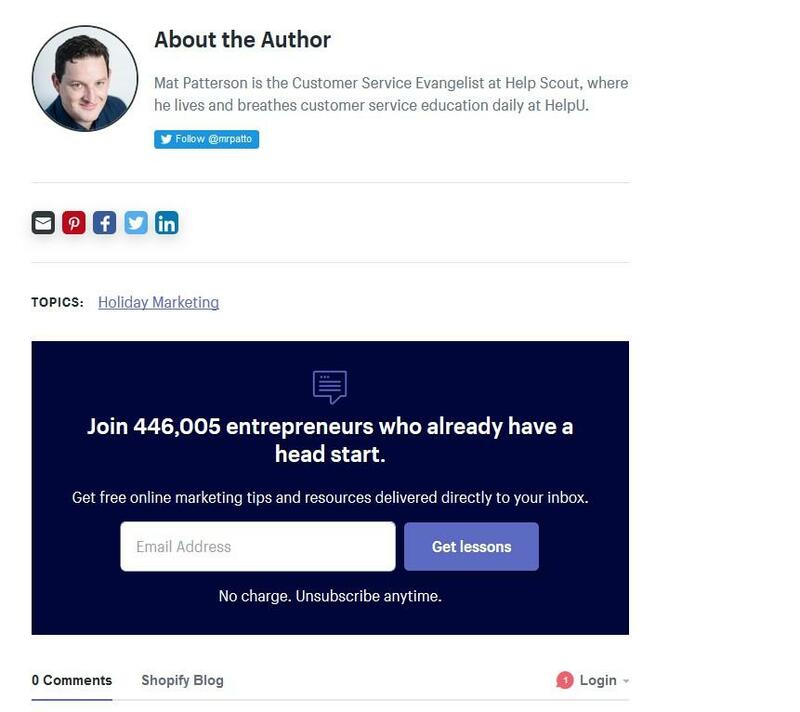 If there’s only one author, you can set up this profile to appear as a widget on the sidebar, similarly to how Neil Patel displays his profile on his own blog. At the same time, you can display this information at the end of each of your blog posts and perhaps right under the title of the post. Following are two examples. The first comes from CMI, where extensive info is displayed on both these locations. 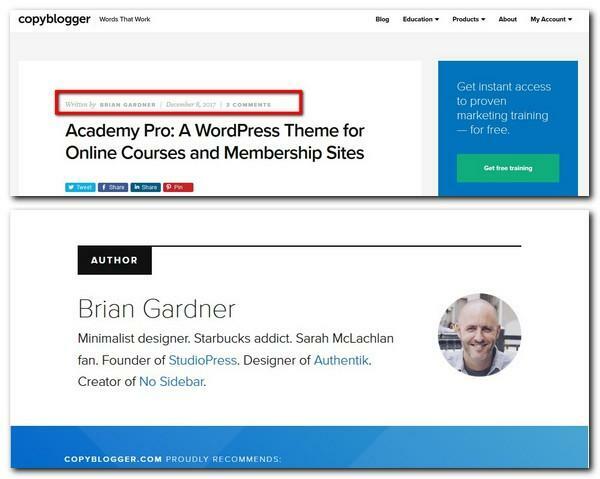 The second example comes from Copyblogger, where the author profile is displayed at the bottom and only the name appears at the top. Calls to action are very important, especially when you use the blog as a content marketing strategy and need to generate leads and conversions. You can either use newsletter subscription widgets, advertising banners or sign-up forms. 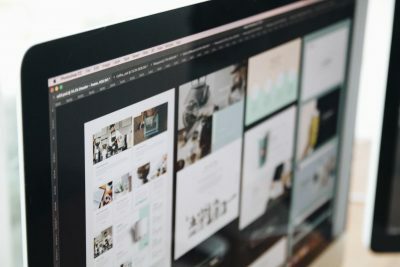 There are no limits on what you can integrate into your blog design as long as they are appropriate for your goals and able to generate enough conversions for your brand. Let’s take a look at the following examples, each one different but all of them focused on calls to action that may generate profit. 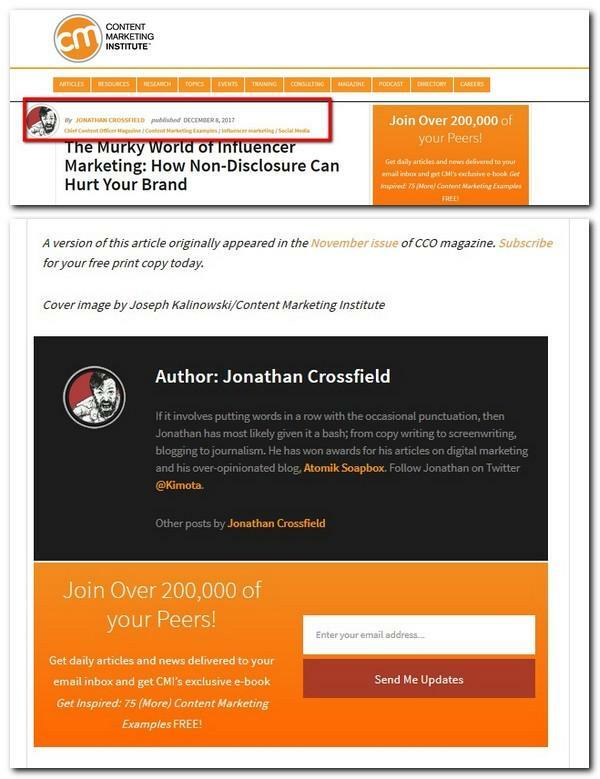 First, we have Hubspot’s blog, which features a traditional subscription widget on the right sidebar. 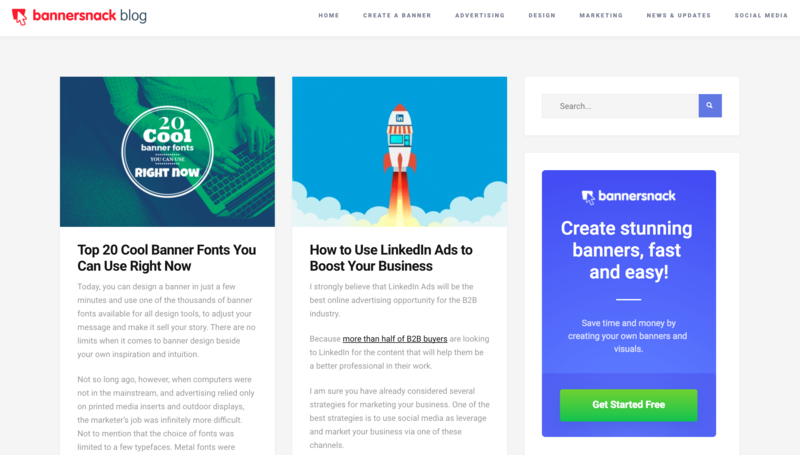 Second, we have Unbounce, which invites us to read their featured content through a banner placed in the same position (the right sidebar). But wait, there’s more! Shopify displays a subscription banner on the right sidebar but also at the end of each article. At the same time, Crazy Egg shares a “30-day free trial” banner on the right sidebar. Finally, there is another great example that comes from Bannersnack. 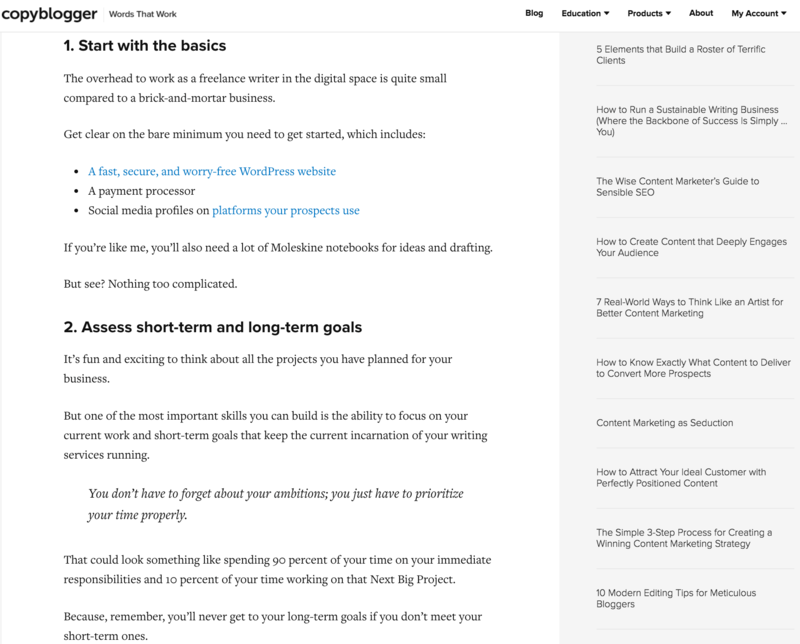 Their blog displays a “Get Started Free” banner for their services in the same right sidebar section of the blog. When it comes to content marketing, social media is always important. For more credibility and trust among customers, you need proof that your blog matters on social media as well. You need proof that there are other people who value your content and that they are willing to share your posts or positively review your products and/or services. Most of Today’s blogs already use social media icons for sharing their content as well as often displaying the current number of shares. 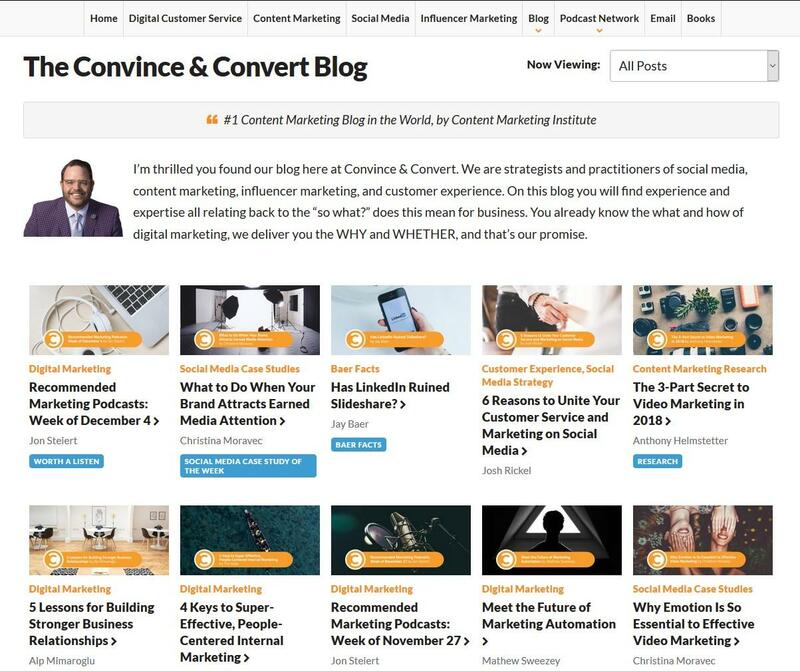 You can go even further and reserve an entire section of your sidebar to show your readers how big your social community is, and how many shares your blog posts attract on social media. A good example that comes to mind is from CMI’s blog. Observe their social proof on the screenshot available below. 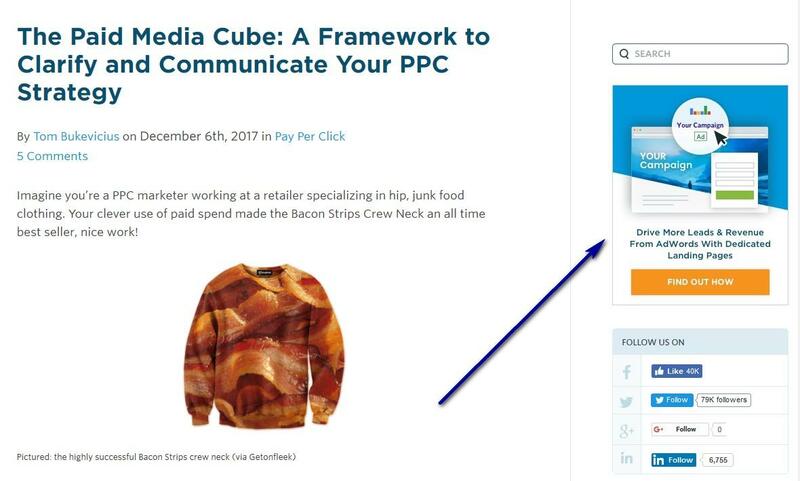 Quicksprout’s Blog on the other hand, uses another great strategy as a social proof and also, as a proof of professionalism and good services. 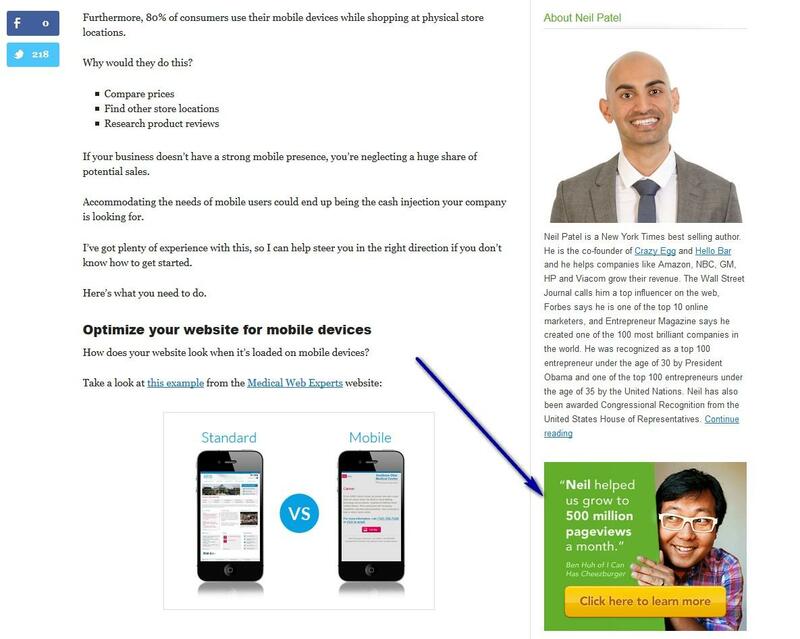 They feature a banner on the blog’s sidebar in which a client recommends Neil services to the audience. Also, another great social proof for your business and blog is to show what big clients do you serve or, at least, show some genuine testimonials from your customers. Here’s a great example from Insider Trends. 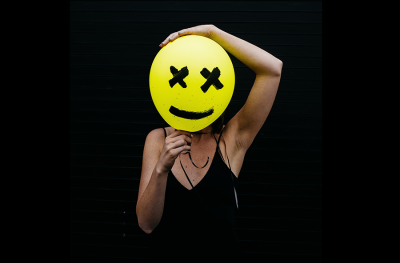 Their blog’s sidebar features a visual list of their most important clients, thus giving their potential customers a straightforward proof of their good services. Content marketing is important for your branding campaign, and the best way of conducting such a campaign is through a branded company blog. However, a blog is more than just its content — and this article was meant to shed light upon the five most important visual branding elements for it. What do you think about these elements and how many of them have you already placed on your business blog? About the Author: Robert is the Visual Marketer and Content Strategist at Bannersnack, a professional banner design app. You can follow him on Twitter @katairobi and check out his blog robertkatai.com.